Named after their habit of basking in the sun, we still have much to learn about these giant fish. There are two Mola species that are thought to be found in Galapagos: Mola mola, the ocean sunfish and Mola ramsayi, the southern sunfish. They look very similar and the southern sunfish was only confirmed to visit the Islands through genetic analysis in 2011. They are found throughout the globe, in tropical, sub-tropical and temperature waters as they prefer temperatures at least 10oC – anything colder may cause disorientation. This is probably why they are usually observed basking in the sun, close to the surface, which is where they gained their English name. Their Latin name, Mola, means millstone taken from their rounded body and grey colour. Sunfish are odd looking fish. They have no real tail and propel themselves along using two towring fins, one above and one below. They have thick, tough and rough skin which is almost like sandpaper. Despite their size, they mainly feed on jellyfish, squid, crustaceans and small fish and must consume huge amounts of these to maintain their size. Their teeth are fused in a beak-like structure which allows them to crush the shells of crustaceans, and then food is further ground down by specialised teeth in their throats. While little is known about their life histories and reproductive cycles, it is known that they produce a large clutch of eggs. This knowledge comes from a female ocean sunfish that was estimated to be carrying 300 million tiny eggs in her ovary. Threats: While they have few predators due to their size, they have been known to be predated by orcas, sharks and sea lions. The most significant threat to sunfish is the fisheries industry, as they are caught as bycatch across the globe. Conservation actions: There are no conservation measures currently in place, but they are protected by the Galapagos Marine Reserve. There is little information about Mola species, especially the southern sunfish, so more research is needed to effectively conserve them. 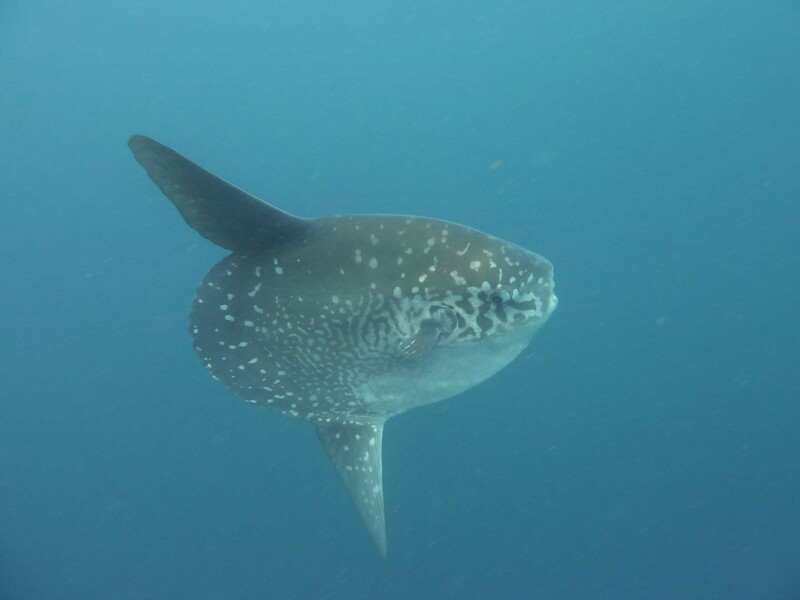 Members of the Galapagos Whale Shark Project team have been involved in tagging sunfish in Galapagos in order to learn more about them. Find out more in this article from Galapagos Matters. Help us protect the vulnerable species of Galapagos by donating today!